Live like royalty with home automation. Home automation is the ultimate guide to changing your lifestyle and making your home a luxurious palace. However, you should keep in mind that there are different home automation systems with different functionalities. One thing remains constant though, no matter what system you use, you will have an easier lifestyle and can manage your home better and remotely. HDH Tech walks with you through home automation to ensure you have your own luxury palace in your own house. Home automation works within three different phases. For a command to be effected, there is communication flow between the primary interfaces, to the control device, and all the way to the peripheral devices. Without these three digital components, there is no way you can accomplish your royal life and luxury palace. So, how does this triangular connection work? The primary interface is a central hub that holds all the controls you are in direct contact with. For the control device, it can be any of your electronic gadgets – smartphone, laptops, PCs or remote controls of the primary interface. Finally, the peripheral devices are the implementers of commands sent from the primary interface through the control devices. They are mainly comprised of sensors and cameras. To turn your ordinary home into a luxury palace, there are those features that improve your lifestyle and make the activities around the house easier to complete with the automation systems. 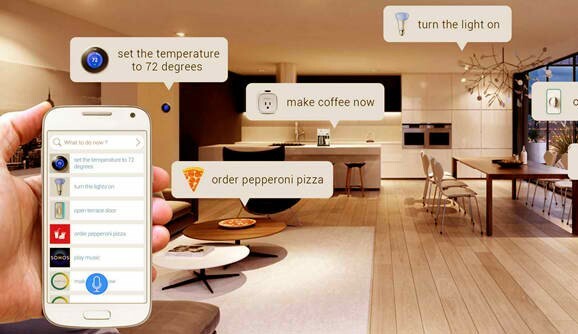 Home automation systems are easy to use with a friendly interface, used to make quick commands and maneuvering through the different solutions much faster. Nevertheless, every installed automated device needs to have secure operations. Since every command is implemented from one common point, there needs to be a continuous flow of secure operations. Most importantly, it needs to work across the entire home. All the rooms need to be covered and operations workable in all the rooms.